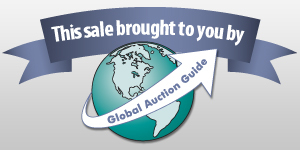 Auction Listings in Alberta - Auction Auctions - Copeland Auctions Ltd. Announcement:Information contained herein is presented on behalf of the seller. Copeland Auctions Ltd., agent for the seller, cannot guarantee the information to be correct or assume the liabilities for errors and omissions. All lines drawn on maps are approximate. Buyers should verify the information to their own satisfaction. Any announcements made from the auction block on day of auction will take precedence over any matter of print and will be final. 2014 Cargo MHT Utility Trailer; 1994 Ford Mustang; Bench Grinder, Varsol Tank, Generators, Transmission Jack, ATV Sprayer Tank, Wheel Dolly, Headlight Aiming Kit, Ball Joint Adapter Kit, Time Clock, Drill Press, Air Hoses, Miscellaneous accessories, Tools, Antiques, Coins & Paper Money, Collectibles, Windows and Doors, 60" Sony Flat Screen TV, Miscellaneous household articles, Fishing accessories, Paint Sprayer, Floor Jacks, Air Compressor and much more! !